Lower Antelope Canyon may not get the light shaft like the upper canyon but the reflected light and unique rock formations are spectacular. I spent two days photographing these canyons and was consistently in awe of the place. From the surface it simply appears to be a crack in the earths surface, but as you make your way in, a whole new world opens up. 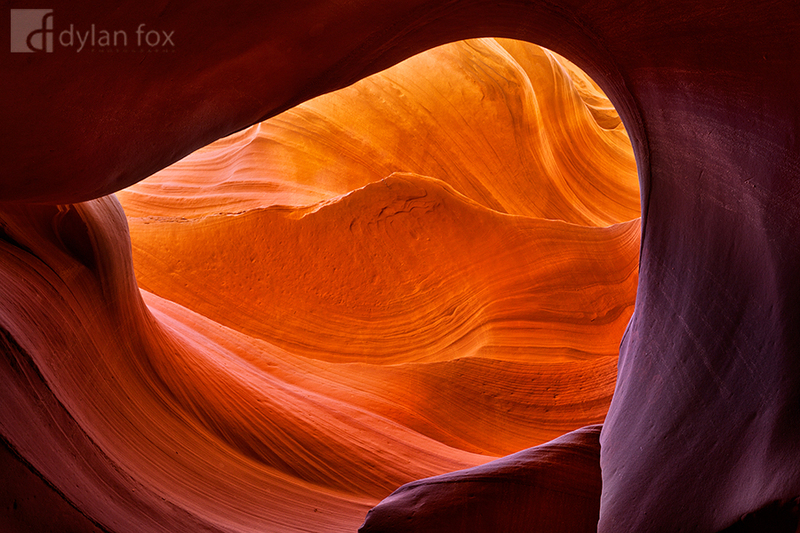 This photograph captures that glowing lights and the brilliant colours and textures of the canyon. Secure your limited edition, Antelope Canyon photographic print, 'Beautiful Heart', by selecting your desired print size in the menu to the right.